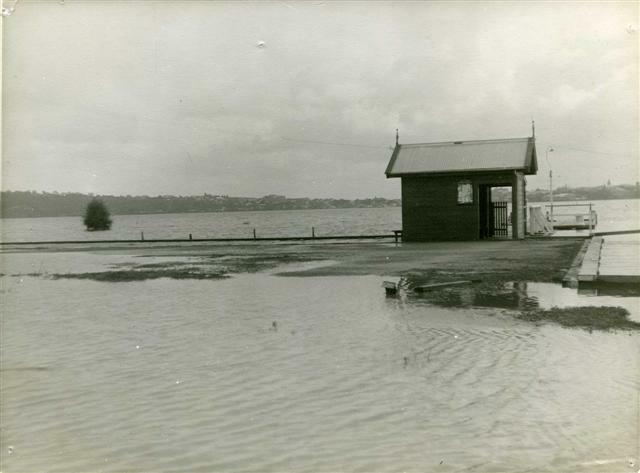 Before construction of the Coode Street Jetty in 1896, the Coode Street foreshore was used as a landing point for local South Perth residents. In particular, visiting pastors and teachers to the Wesley Chapel and Church (which was built on Coode Street) would land here and walk to their destination. The first ferry service to operate from Coode Street was managed by W. F. Tubbs however it was very irregular. This service was replaced in 1898 by local residents Rowland Pennington and Fred Bailey, who formed a public company, the River Ferry Company, in hopes to bring some regularity to the service. The company had two sailing boats in action, the Mary Queen and the Gladys, however the venture was a failure. In 1904, Jack Olsen and Claes (Harry) Sutton developed a thriving ferry business on the Swan River, including regular ferries to Coode Street. The Olsen and Sutton fleet were known as ‘Val’ boats (named after their Scandinavian links) and included Valfreda, Valthera, Valdemar and Valkyrie I & II. The Sutton and Olsen families continued to run the service until 1935 when they sold the business to Nat Lappin, who formed the Swan River Ferries Company. The private ferry service was eventually merged into the State Transport system and the jetty was rebuilt in 1990.